A continuation to where we left of in part one which showed the decline of the Ottoman empire and loss of control over Palestine to the British whom were convinced as I have shown in part 1 that building a Jewish state in Palestine is a necessity for the future, and the secret memo written by the first Jewish Zionist minister in Britain Herbert Samuel saying" it is too early to have an independent Jewish state, we have to encourage the immigration of 3 to 4 million European Jews and plant them between the Mohammadians"
1916 witnessed the famous Sayks-Pikot between Britain and France the colonial powers at the time, agreeing on keeping Palestine under allies control in preparation for the new Jewish state. Mark Sykes the British foreign minister at the time had very close ties with Chaim Weizmann the British Zionist chemist whom was in Palestine at the time buying lands of the Palestinian Arabs with Baron Rothschild money, and dictated to him what the Zionist organization needs in the agreement. 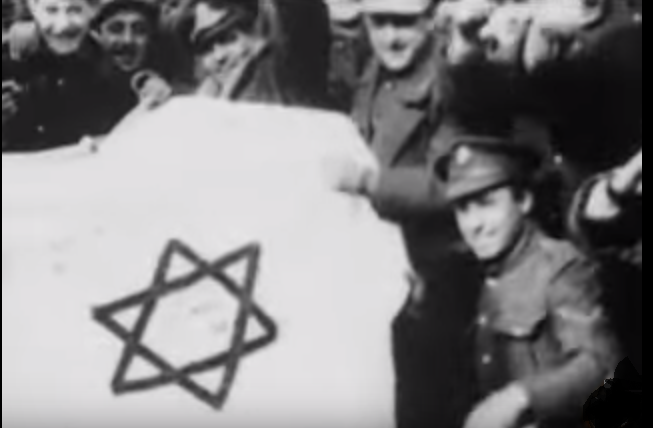 Image 1917 showing personnel wearing the British uniform carrying a flag of the Star of David. 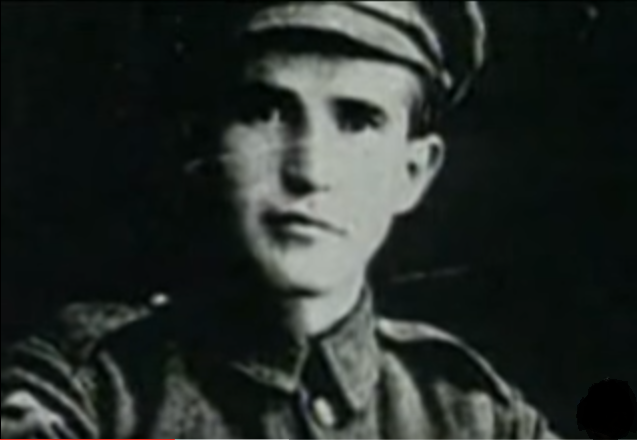 David Ben-Gurion in British uniform, latter to become the first Prime Minister of Israel. -"Zionists looked forward to a practically complete dispossession of the present non-Jewish inhabitants of Palestine, by various forms of purchase. Nearly 90% of the Palestinian population was emphatically against the entire Zionist program. 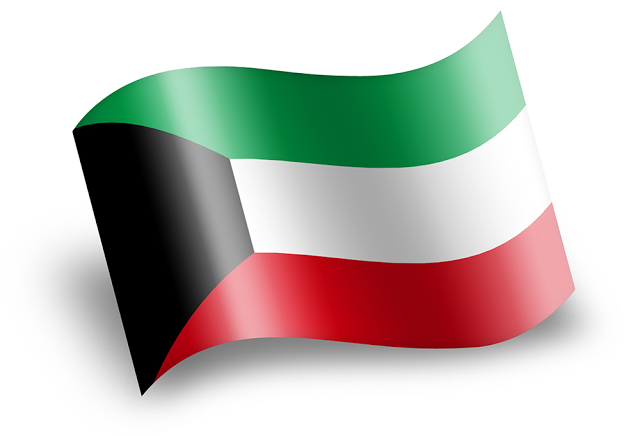 The wishes of the local population must be taken into account and that there is widespread anti-Zionist feeling in Palestine and Syria, and the holy nature of the land to Christians and Moslems as well as Jews must preclude solely Jewish dominion. -It also noted that Jews comprised only 10% of the population of Palestine. -"Syrians were against the formation of a Jewish state. -"Nor can the erection of such a Jewish State be accomplished without the gravest trespass upon the civil and religious rights of existing non-Jewish communities in Palestine". -"Not only you as president but the American people as a whole should realize that if the American government decided to support the establishment of a Jewish state in Palestine, they are committing the American people to the use of force in that area, since only by force can a Jewish state in Palestine be established or maintained." 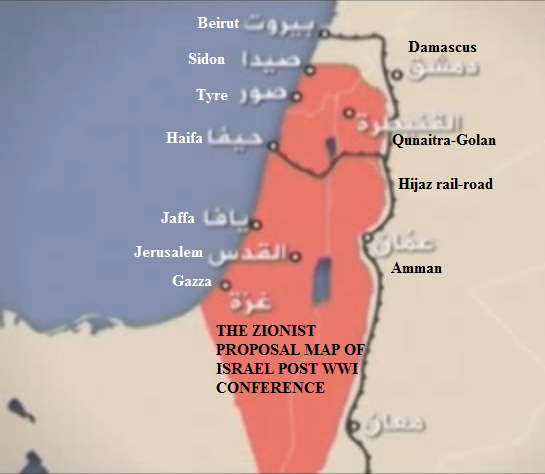 The report was totally ignored by the Americans as they sat down with the rest of the world in Paris and listened to the Zionist demand which is summarized by the piece of land shown on this map. King Faisal Bin-Al Hussein of Hejaz after meeting the British PM, General Allenby and Weizmann agreed on one condition that all the Arabic countries under the Saykes-Picot agreement take their independence, and the real engineer behind this agreement was Edward T. Lawrence also known as Lawrence of Arabia . 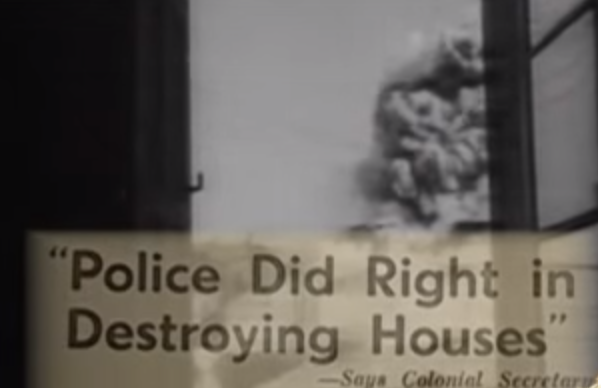 1919 witnessed the first Zionist intelligence service that used the second generation Jews whom speaks Arabic to spy on the Palestinian's public opinion, unfriendly planed acts against the settlements and if there are more lands for sale. He also allowed the Zionists to have their own education system and their own army also. 1921 With the Palestinians realizing what is happening they started to move politically even though their numbers are few due to poor education, they managed to reach London to complain but they had a big problem which was that you cannot keep Britain as a friend and the Zionists as the enemy, simply because both of them are on the same side, so all their efforts went in vain. 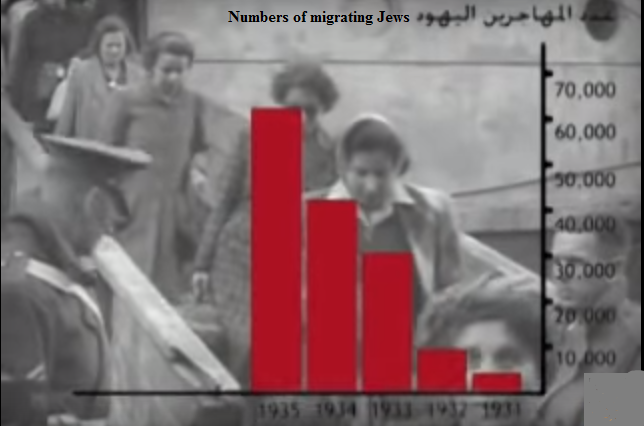 1 – The immigration of the Jews from Europe reached 33,801 all were given the Palestinian nationality. 1930 with more immigrants incoming, the Palestinians demonstrated for several days and the leaders of the demonstrations were 3 Arab Palestinians caught and executed in June 1930 even with pleas from Arab countries. The number of immigrants reached 175,000 that year. 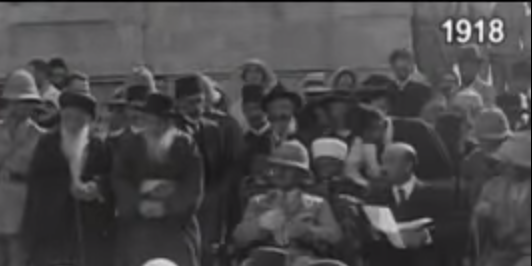 1931 In a dinner organized by the Zionist organization headed by Weizmann to honor Lloyd George PM said jokingly " it has been 16 years since Weizmann has recruited me in the Zionist organization" in my opinion even if it was a joke but being a PM it speaks volumes about justice in ruling between Arabs and Zionists in Palestine. During all this period thousands of Palestinian Arabs were moved out of the newly bought lands, so Ben-Gurion suggested to the new British high commissioner Arthur Wauchope if it possible to deport these people to east Jordan, the commissioner replied what an excellent idea.